A head-high wall constructed of thousands of wine and other bottles held together by stucco. Help improve Atlas Obscura by expanding Wall of Bottles with additional information or photos. 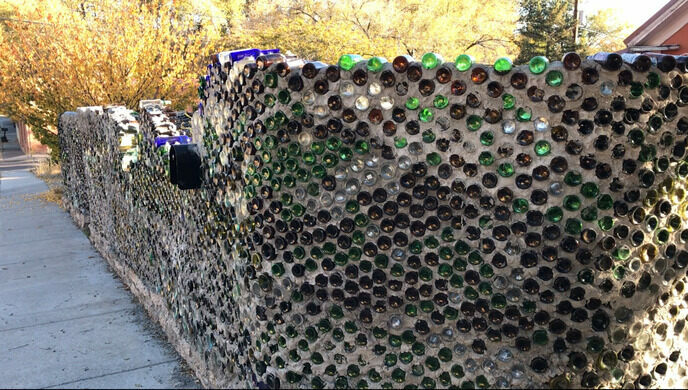 Across from the beautiful and historical Grant County Court House in Silver City New Mexico is an amazing wall around the yard and driveway of a private home constructed entirely of wine and other bottles. 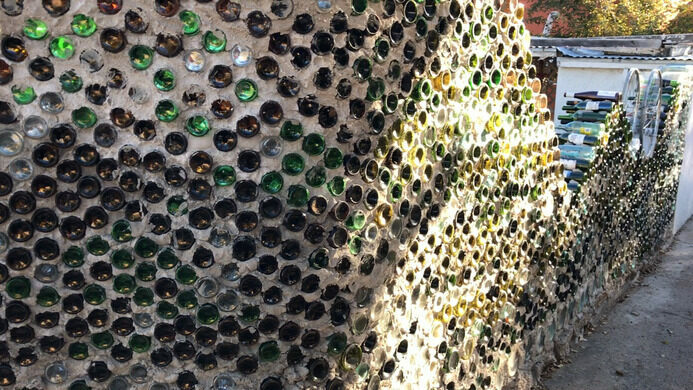 The thousands of bottles are held together by stucco. The wall is still under construction but in places is already head-high. At sunrise, the bottles create a series of interesting colors on the surrounding sidewalk and street. 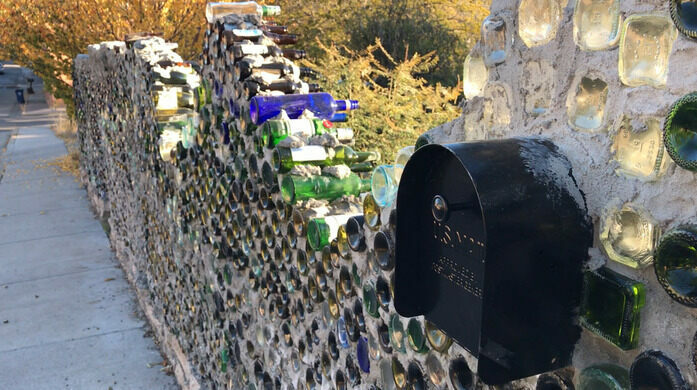 Simply drive to this spot, or even better, treat yourself to a pleasant walking tour of historic Silver City, taking in the sights of the downtown area, the hill around the courthouse including this wall of bottles, and the Western New Mexico University campus. These ruins of a pre-Columbian cliff village are among the most beautiful and well preserved in New Mexico. Crumbling remnants of what was once a booming town full of silver. The outcropping is graffitied with the name of the beloved musical Muppet television series. 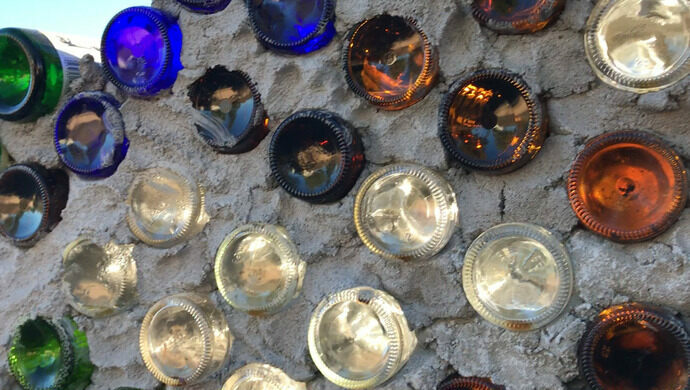 The bottle house obsession struck a Florida man in his retirement, and now he can't stop building. One family's mission to exemplify sustainability took on a whole new life as a surprisingly beautiful home.